Cats might not like water, but this catwalk LOVES water! It’s the 6th Annual Aveda Catwalk for Water, and it’s happening this Saturday, April 30. 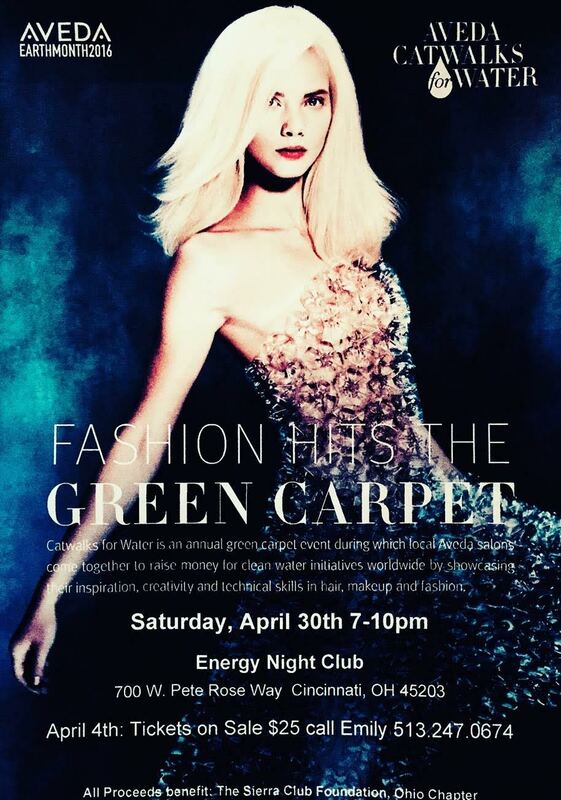 Sounds like a fun event, where fab hair/makeup/fashions will rock the “green carpet” — all for an awesome cause! Details are below! I just went on a two-week long beach vacation (I know I’ve mentioned it in a few blogs since I’ve been back… just rubbing it in! haha!) I don’t know if it was the salty air or being wind-blown for two weeks straight, but my lips were super dry when I got back. So, I ordered a tube ($18) in a really gorgeous color (Spiced Plum). I’ve been using it for the past two weeks and I honestly already see a difference. I don’t get that cracked/peeling lip feeling, and they feel minty cool right after I put it on and that lasts for about an hour. They stay really hydrated, even with only a few reapplications throughout the day. So, I highly recommend it! They also have lip liners and lipsticks in this “nourish-mint” line, but I’m more of a gloss girl! I also took advantage of some of their offers on their site where you can get free samples and shipping. Click here to learn more about that!